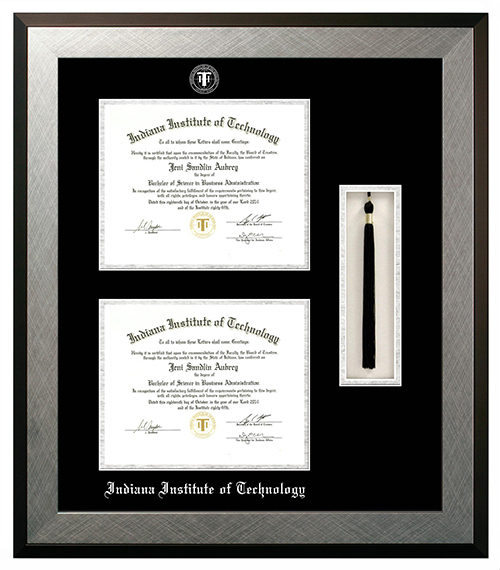 Our custom diploma frame with tassel holder is perfect to show off your diploma and graduation tassel side-by-side! It features a deep shadow box opening for your graduation tassel. Whether it be your school's tassel or your academic tassel, this option will beautifully display your achievement. 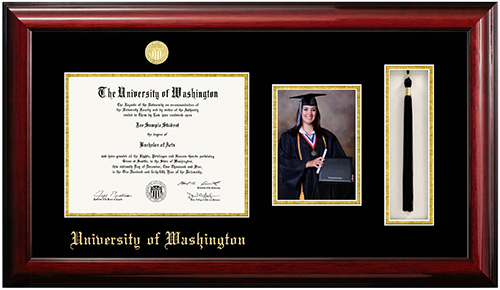 With plenty of options, you can also customize your frame to fit your diploma and tassel size to create your perfect keepsake. 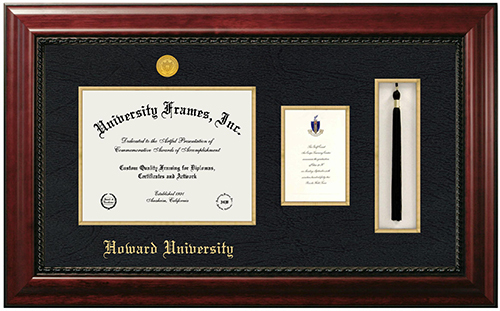 Our tassel diploma frames are crafted with the finest hardwood that is high quality and responsibly sourced. These mouldings come in different styles as well. 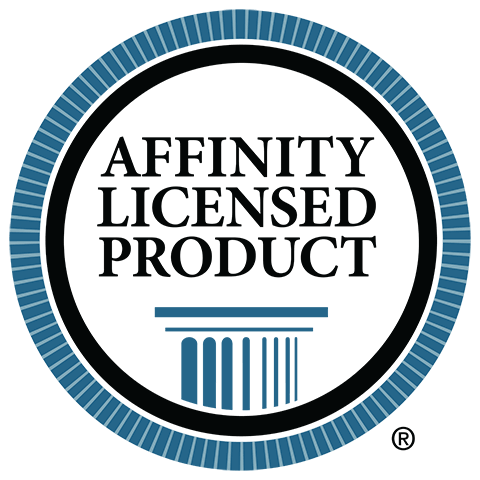 Licensed with over 1,000 colleges and universities, our frames come with the authentic, original seals of these schools. 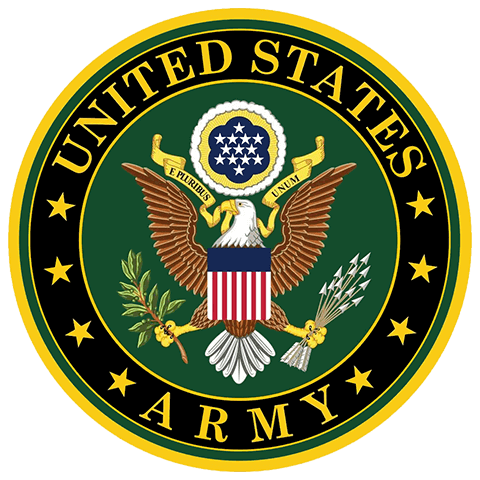 These frames come in single or double matting, and we have non-imprinted frames on discount as well. Mattings come in different colors too. 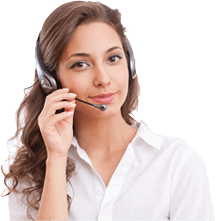 You can mix and match mat colors to create a classy look. 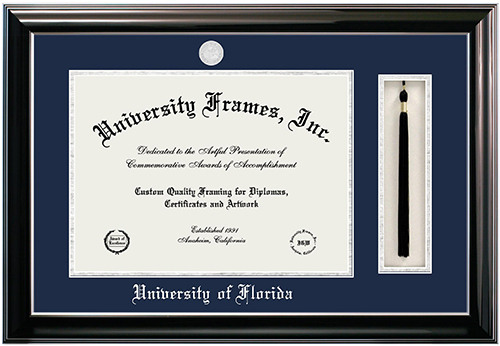 For those with a strong sense of school pride, you can create a frame that shows off your school's colors. 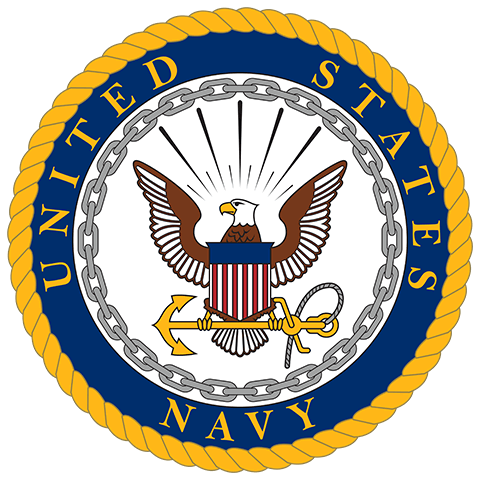 There are several ways you can customize your frame to truly make it yours. 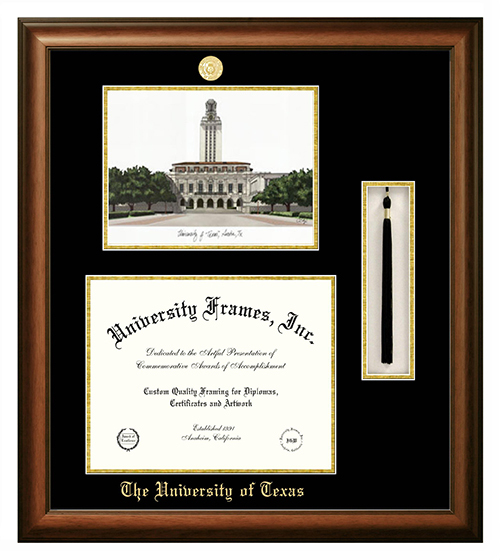 Click here to order a diploma frame with tassel, or you can customize your frame here.